Jill Stein is the Green Party’s nominee for president once again. She had offered the seat to Bernie Sanders before he decided to endorse Hillary Clinton. Appropriately, this voice of the Green Party is a Taurus, the sign connected to the Earth and sustainability. 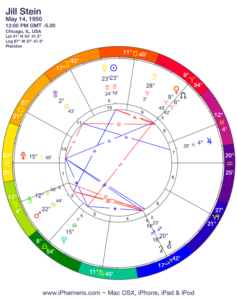 Her Sun/Mercury is in harmonious aspect (trine) to her Mars in Virgo; this shows the constant engine that keeps her on task and dedicated to service. Stein’s birth time is not available, so we use a noon chart for her, since she’s in the public eye. This gives her an Aries Moon (although the moon moved into Taurus later in the day). 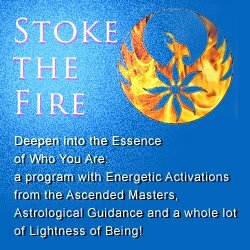 An Aries Moon certainly fits the fiery Stein and her Venus is in that sign as well. 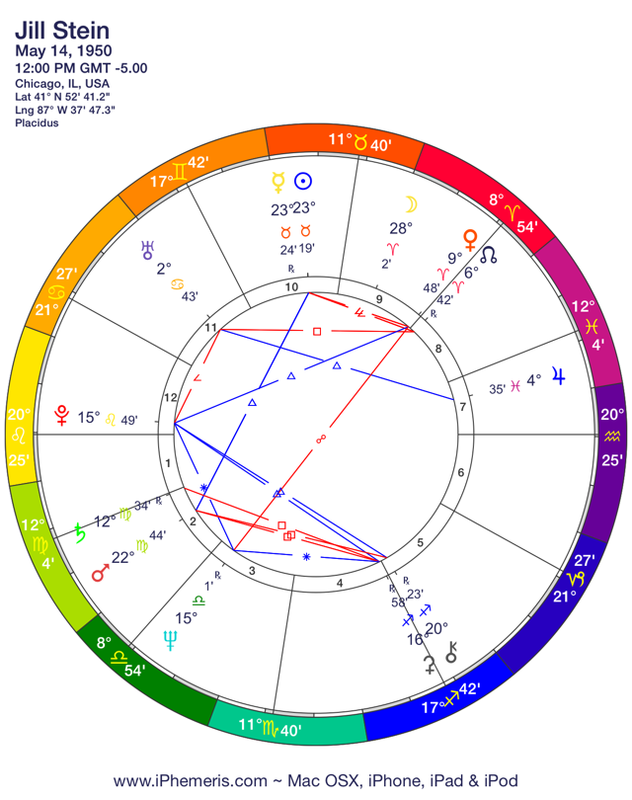 Bernie Sanders also has an Aries Moon and either or both of these individuals ma have a transit of Uranus on their Moon (Uranus means anything can happen). Astrologer’s disclaimer— I do not have the verified birth time for Stein (nor Sanders), so this analysis may have timing issues. When we have the exact birth time, we have terrific results for accuracy. With Venus and the North Node (destiny point) in Aries, she has a mandate to champion her cause. This is ramped up by Pluto (symbolizing power and transformation) in a supportive picture. To discern if she has any impact on the presidential race, we need to look at her chart coupled with that of the USA. The USA votes most often for “fixed sign” presidents, Aquarius, Leo, Scorpio and Taurus. Stein is a Taurus and this alone won’t win her the seat, but it does connect her with the people. Whether or not a voter is drawn to her platform, Stein is viewed as dependable and hard-working. On the other hand, the placement of her natal Uranus (the planet signifying disruption as well as genius) triggers the perception of the feminine. This works in her favor for those who admire independence and a cavalier attitude towards her opponents, but can be a liability when one looks for the ability to negotiate. Clearly, the USA still has a rather stilted attitude towards women in positions of power. Stein may be seen as far too independent to capture the masses. Nonetheless, the overall energetic thrust (post theUranus/Pluto square) is towards irrevocable change. Stein’s platform is certainly another catalyst towards those changes.